In January 2016 Hugo Boss introduces a more intense version of the fragrance Ma Vie Pour Femme from 2014, while repeating the same pink flacon form in somewhat darker shade. 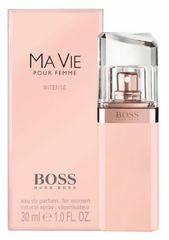 The latest edition Boss Ma Vie Pour Femme Intense follows the style of its antecedent but has a more intense character. This composition was inspired by the spirit of the strong and independent woman. It was created as a fragrant intermezzo in dynamic days, representing a pause for enjoying simple moments of life, as a sparkle of pure happiness. The composition contains special femininity and invites us to enjoy life. Top notes incorporate cactus blossom (repeated key note of Boss Ma Vie Pour Femme edition), surrounded with a bouquet of rose buds and enhanced with woody scents of cedar in the base. 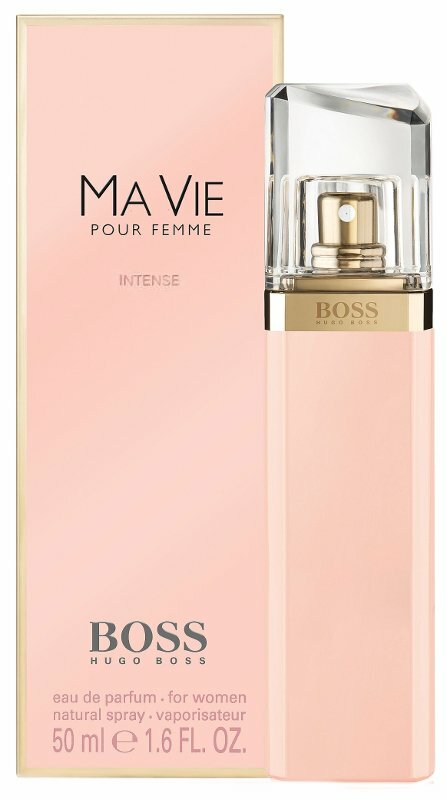 Fragrance Boss Ma Vie Pour Femme Intense is available as 30, 50 and 75ml Eau de Parfum.